The last few years have been hard ones on me and my family. We had three deaths in the family, a failed ministry attempt, a fight to keep my disability benefits, and financial difficulties with the changing economy like many people we know and love. Yet through all of that my relationship with God has grown to a depth a I wouldn’t change for anything in this world. Still a girl has growth in that relationship to go through. 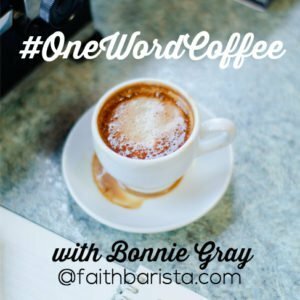 I am doing a Bible Study called You’re Already Amazing by Holley Gerth with some already amazing online gal friends of mine. Every Thursday I watch Living Proof Live that I have DVR’d the night before on TBN. And I watch Christian movies and study the Bible with fervor memorizing the word of God planting it in my Spirit. Well just yesterday Beth Moore challenged those of us watching Living Proof Live not to just eat the seed of the word of God that we were getting from Bible Study but to actually plant that seed. Imagine my agreement with her when I realized that I was already planting the word of God in my Spirit and doing a Bible Study with those already amazing online gals. However, I was learning about the amazing me God created in Holley Gerth’s You’re Already Amazing book and Lifegrowth Guide. So I decided to write out a prayer just for me about loving myself and God loving me. I have not tweaked it just yet but I decided to share it with you here online. So here it is and I hope it is a blessing to you in some way, shape, or form. I will love myself and believe in your love for me because You formed my inward parts; you covered me in my mother’s womb. I will praise you, for I am fearfully and wonderfully made; marvelous are your works and that my soul knows very well. (Psalm 139:13-14) I know you perfectly love me and perfect love casts out fear (1 John 4:18) I am crucified with Christ it is no longer I who live but Christ lives in me, and this life I now live in the flesh, I live by faith in the son of God who loved me and gave Himself for me. (Galatians 2:20) and Suddenly a voice came down from the heavens saying, “This is my beloved Son in whom I am well pleased.” (Matthew 4:17) Therefore if I am in Christ you not only perfectly love me you are also well pleased with me. The Lord has appeared of old to me saying yes, I have loved you with an everlasting love; therefore with loving kindness I have drawn you. I pray this has blessed you Beloved. If I had one word to leave you with this week it would be love. May the Lord make His face to shine upon you until we meet again. I’m linking up with my friends below. Check them out and be encouraged even more than I can say. I love your fearfully and wonderful made. Your pray really touched my heart. I am reading it everyday. God love you.